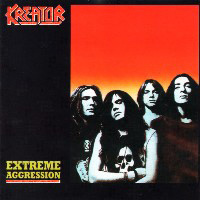 I consider “Pleasure To Kill” to be one of the three most important Euro Thrash albums of all time, but the truth is “Extreme Aggressions” became the landmark release that pushed KREATOR to the top and opened wide the gates for both mass acceptance and commercial success. Till then Germany had the blackened soul of SODOM and the evil spirit of DESTRUCTION with many other bands struggling to have their name placed in between these three bands; KREATOR just made the big step with this 1989 release and when the “Coma Of Souls” follow-up LP saw the light of day it was a matter of time for the band from Essen to conquer the Thrash world. The Germans are rumored to be more of a consuming culture rather than innovators, and not speaking only about music. Still, in the case of ACCEPT it can be said that Germany has proudly contributed the most to what is called European Heavy Metal. The band from Solingen had its initial lineup circulating in the late 60s but it wasn’t until a decade after that the quintet unleashed its first couple of albums in the Hard-meets-Heavy tradition with enough reference to Aussie legends and AC/DC and Swiss maestros KROKUS. 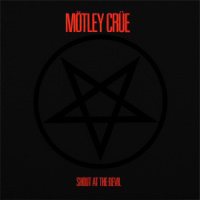 This is the band and the album that paved the way for what Glam/Sleaze Metal would sound and look like in the years to follow. No, it’s not an influential record in the way KISS and AEROSMITH did it in the 70s; it’s the first major hit LP that did burst out off the dirty lanes of the Sunset Boulevard. After that, The California state would not be the same. Yes, you can blame these filthy ‘trans’ figures in the album’s cover (or gatefold inner, based on the issue you have). Canada has offered lots of Rock/Metal giants that have secured a solid chapter in the eternal book of Heavy Metal and have also – more or less – contributed the most to solidify and develop the Hard Rock/Heavy Metal sound. Still, apart from the commercial bands Canada always had boiling waters with tons of unsigned obscure outfits with the charisma to release fantastic singles, EPs or full length albums but lacked a record deal or some basic promotion to have their name and work heard across the country’s (or, at some times, even the district’s) borders. 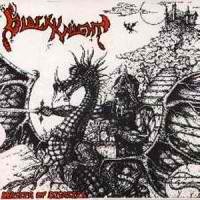 Such a case is BLACK KNIGHT.